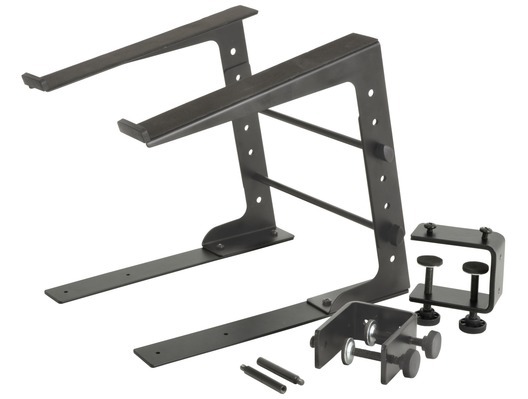 The Citronic compact laptop stand is a portable desktop stand that will safely support a laptop computer as well as some small mixers, effects units or lighting consoles. 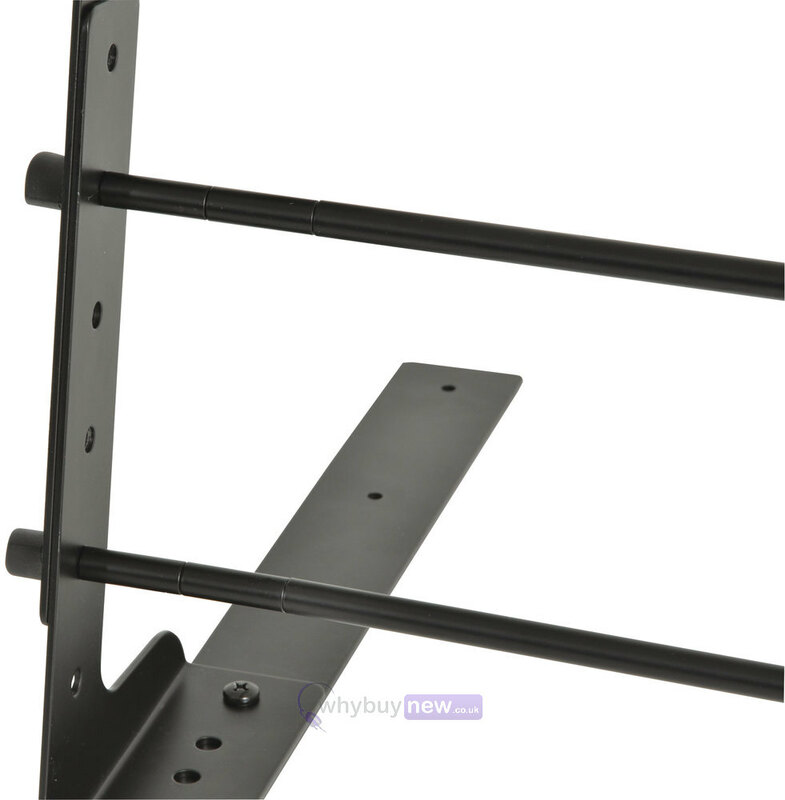 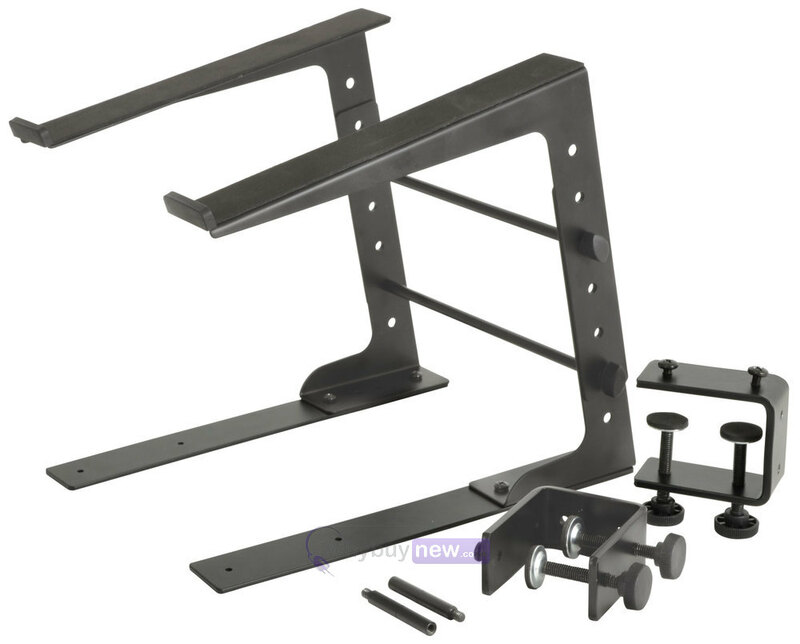 Position the stand above other equipment at a fixed 15° angle for easy viewing. 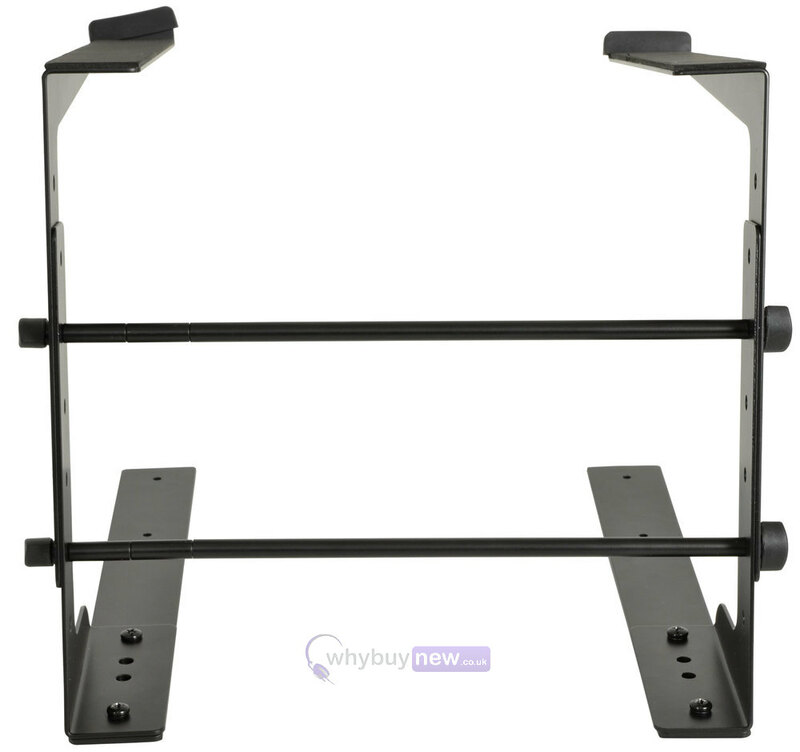 This height and width adjustable stand is ideal for DJs and musicians, and is designed to sit on a desk, table or other suitable flat surface. 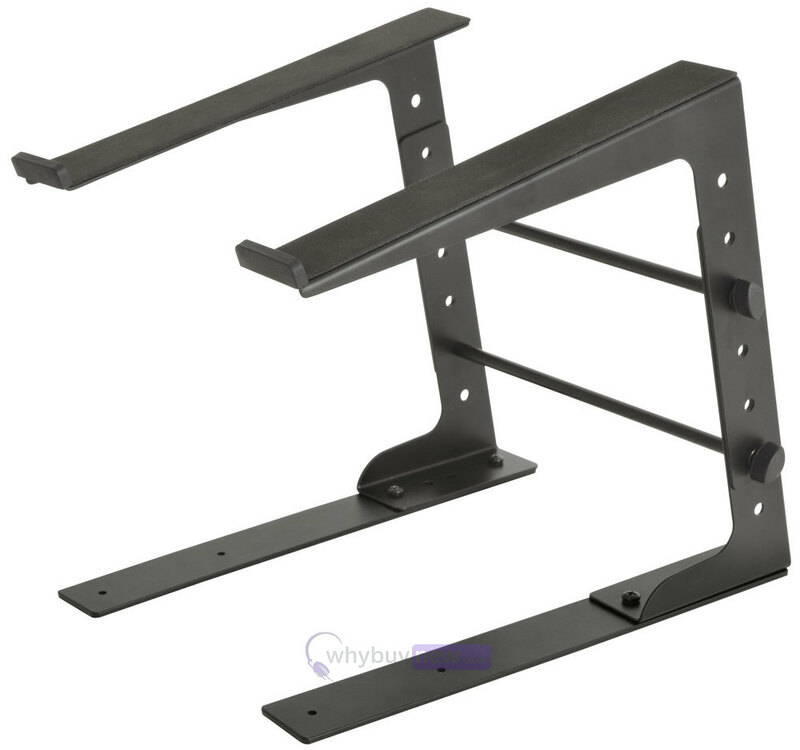 The stand's support arms and lower skids are covered in high density foam pads to prevent damage or slipping. 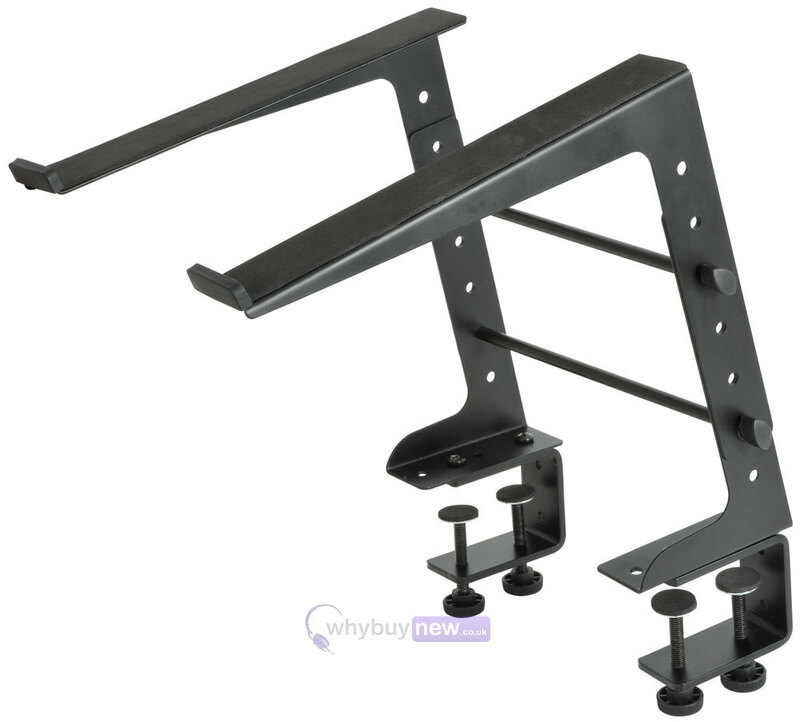 It also includes desk clamps for the option of attaching your laptop stand to a table, desk or shelf.